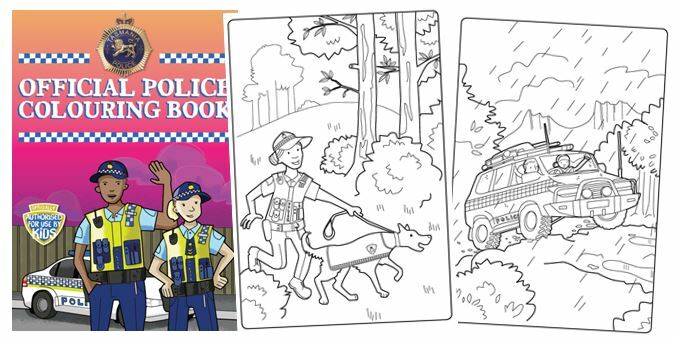 A Tasmania Police Colouring Book is available for download as a resource for teachers, carers and parents. The colouring book includes pictures of police cars, motorcycles, helicopters and boats. This page -- https://www.police.tas.gov.au/what-we-do/community-services/colouring-book-tasmania-police/ -- was last published on July 26, 2016 by the Department of Police, Fire and Emergency Management.